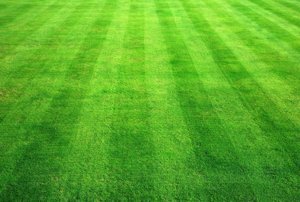 Lawn aeration provides many benefits, including heat & drought tolerance; Reducing water runoff, puddling, and soil compaction. Lawn aeration studies at Iowa State University have proven that aeration can cut back your irrigation up to 30%. Core aeration allows air, water, and fertilizer to better reach the root zone. This stimulates root growth to create healthier, stronger turfgrass. This can help save money on your water bills, and the reduction in your water bill easily pays for the aeration.